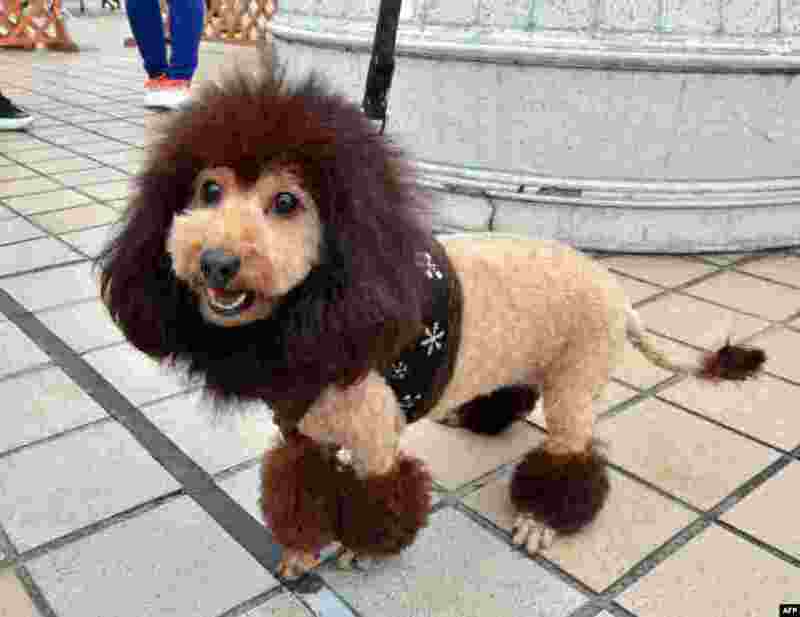 ۱ A dog, trimmed to look like a lion, walks on the rooftop of Mitsukoshi department store in Tokyo, Japan. One hundred lion looking dogs gathered to celebrate the 100th anniversary of Mitsukoshi department store's mascot lion. 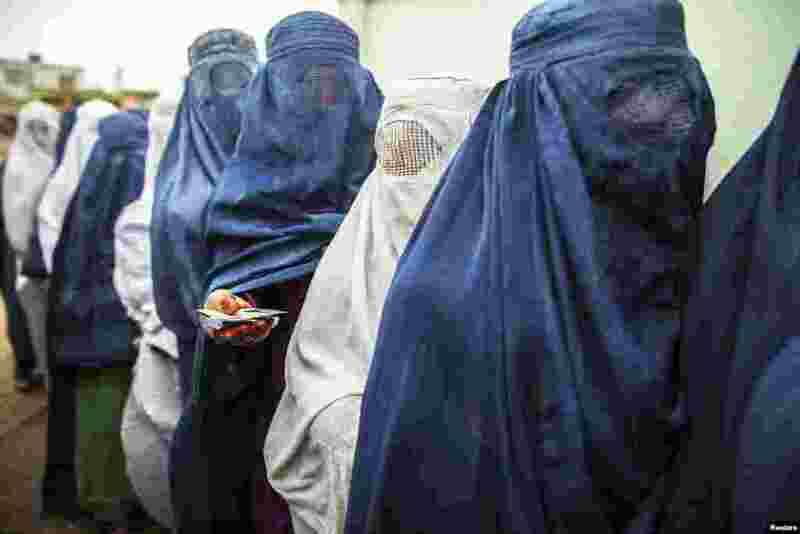 ۲ Afghan women stand in line while waiting for their turn to vote at a polling station in Mazar-i-sharif. Voting was peaceful during the first few hours of the presidential election, with only isolated attacks on polling stations. 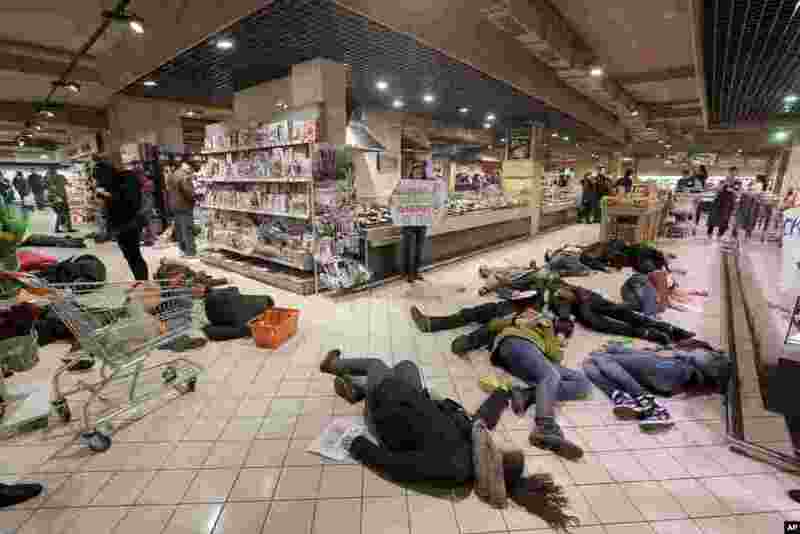 ۳ Ukrainians lay on a store's floor, acting as dead bodies in a flash mob action protesting against the buying of Russian goods in Kyiv. 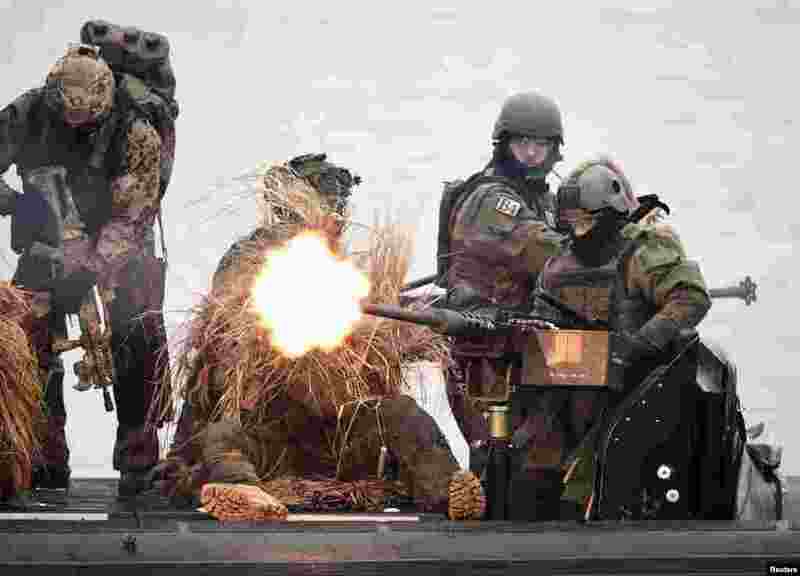 ۴ Combat divers "Kampfschwimmer" of German special naval forces are seen on a boat during a presentation by the German Army "Bundeswehr" in Eckernfoerde, Schleswig-Holstein. 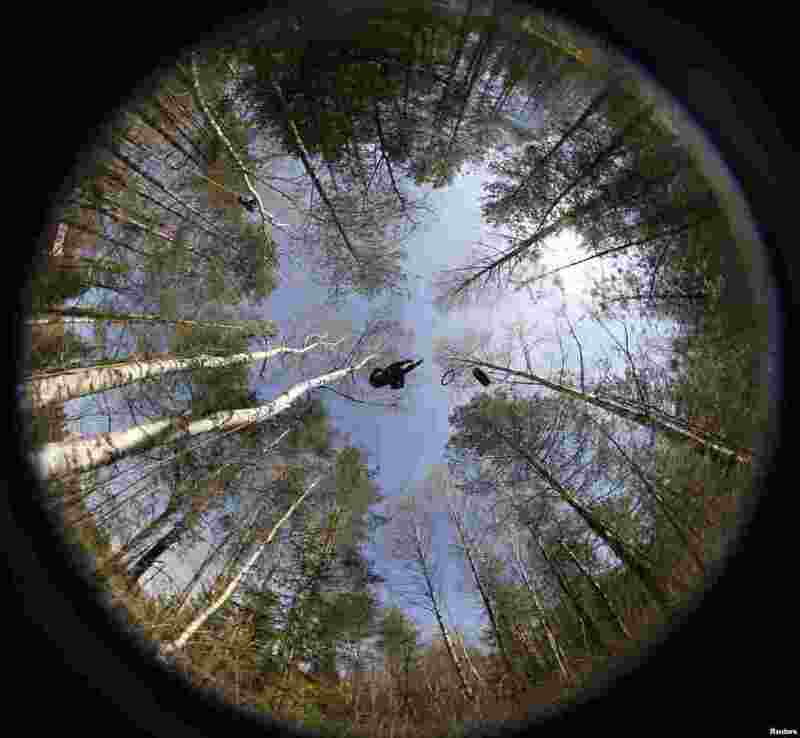 ۵ A cave explorer makes his way through tires during an annual international competition for speleologists in Raubichi, Belarus. 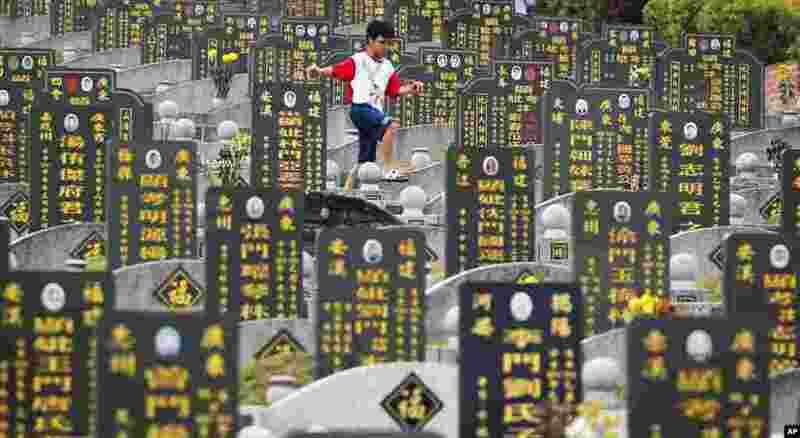 ۶ A Chinese boy runs along gravestones during the Qingming Festival or Tomb Sweeping Day outside Kuala Lumpur, Malaysia. Chinese people honor the dead during the annual festival. 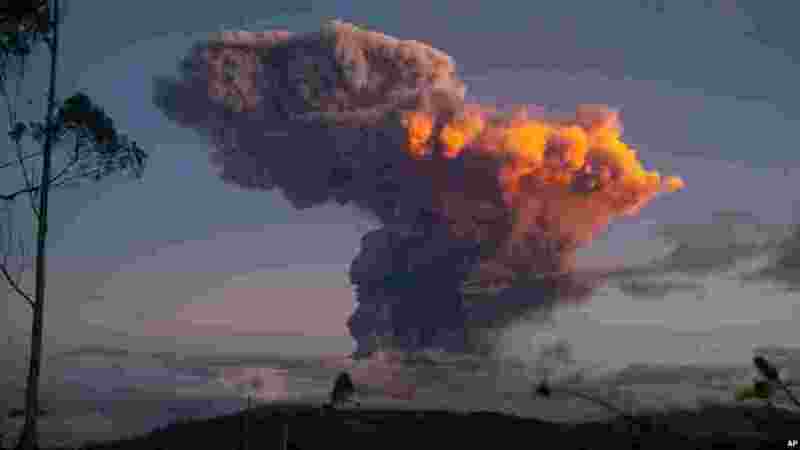 ۷ Tungurahua volcano spews a column of ash as seen from Ambato, Ecuador, April 4, 2014. ۸ People take part in International Pillow Fight Day in central Bucharest, Romania.